All right you women cooks out there, it’s time to take back the fire! I know it may seem nice to turn over the grilling to the men, but there’s so much satisfaction to cooking over fire that you may be missing out on. Whether it be gas, wood or charcoal, there is something incredibly primal and rewarding about grilling outside. I’ve always done the grilling at our house and I even remember the first time I turned on our then new gas stove-I felt somehow connected to my grandmother and my grandmother’s grandmother by putting my pan over the flame in the way cooks have been doing since humans first discovered fire. In order to encourage your forays outside, I will be posting recipes perfect for outside cooking. My first work here is to share a little of what I’ve learned about grills. 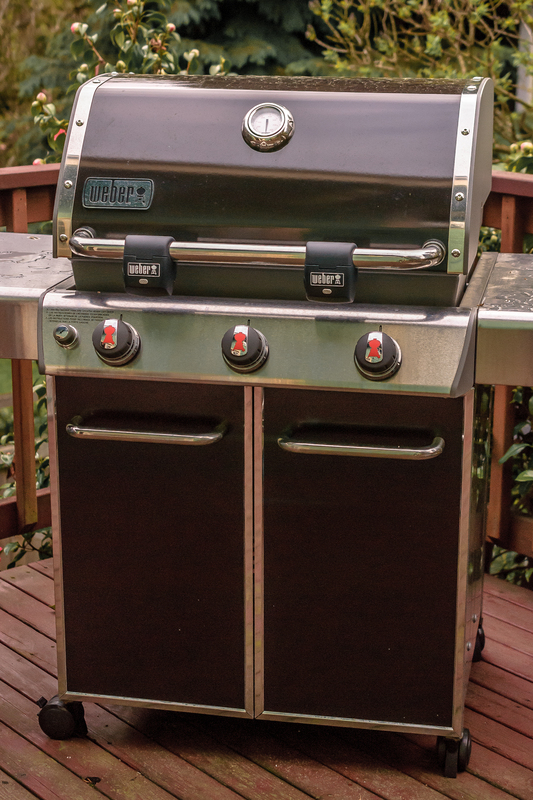 It took me several years, but I finally bought the expensive Weber grill and if you’re at all on the fence about it, I highly recommend the purchase. I’ve had cheaper grills for years-Charbroil being the main brand- and I made them work with only the occasional raging fire caused by fat from chicken thighs. I finally lost my last chicken to fire and smoke when a friend told me that Webers really are different. You cook on them without the flare ups and the even heating is incredible. I am not usually the one to spend the extra money on a brand, but it turns out that with Weber it really is worth it. I even bought the grill lights that turn on when you lift the lid and was able to grill all winter. Now that spring is here, stay tuned for some fantastic recipes for your grilling experience!